TICKETS ARE NOW SOLD OUT. Please tune in on Wed 7-8pm to our Instagram Stories. Our Future of London Food series will see KERB host panel discussions with some of the city’s most compelling voices in food to explore the issues, opportunities and trends shaping London’s food industry today. It is set to be a thought-provoking look at the relationships between city living and how we eat, lead by those who operate at its helm. 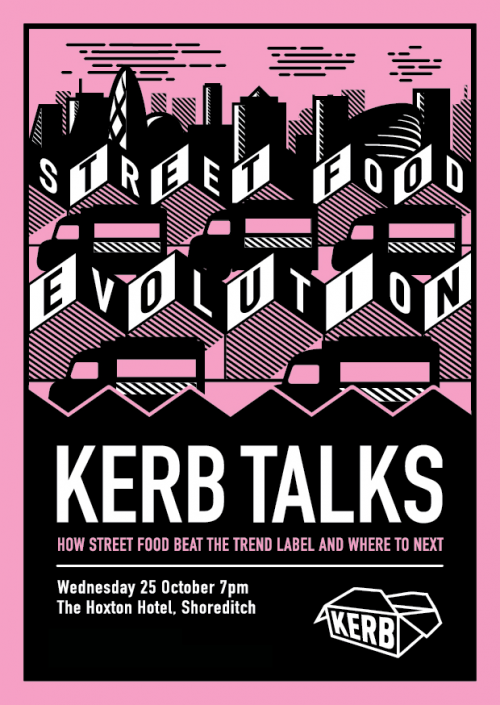 The series as a whole aims to deliver predictions on future trends for London food and begins with an in-depth discussion of the ‘street food evolution’, how it has evolved from trend to part of the fabric of the city – and what’s next. In Part 1, the panel will be reflecting on the ‘street food evolution’ and asking how and why it came about. 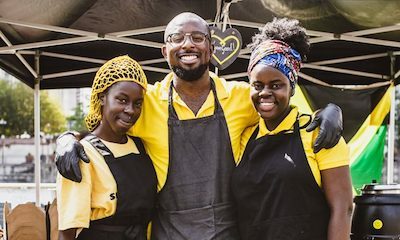 They will explore the reasons why, unlike most food fads, it has established itself as part of the fabric of London and is now a legitimate and burgeoning competitor to the traditional restaurant. 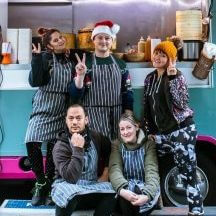 Finally will come an examination of what the future holds and where-to-next for street food. From KERB founder, Petra Barran’s early days of hawking chocolate from one of the city’s first food trucks, to the Credit Crunch that served to loosen up the London dining scene; and from 2010’s perfect storm of Twitter and Meatwagon, to the rush by developers to harness the cultural capital generated by the new-wave of food entrepreneurs emerging in its wake. 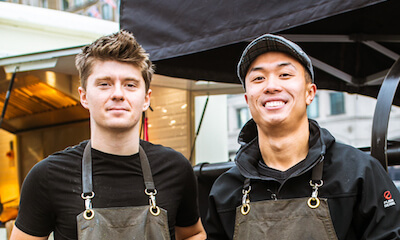 Tacos, bao, dumplings, ramen, pulled pork, small plates, disused warehouses, meanwhile spaces… this has been a crucial decade in London food and KERB has been right there on the front line of it. 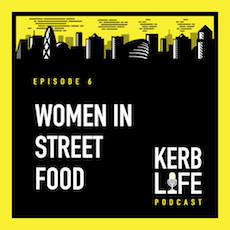 The story of KERB sits within the story of today’s wider food industry, influencing it, driving it, making it more expansive, playful and accessible, whilst also spotlighting ongoing challenges for everyone in this city trying to make great food on increasingly expensive square footage. 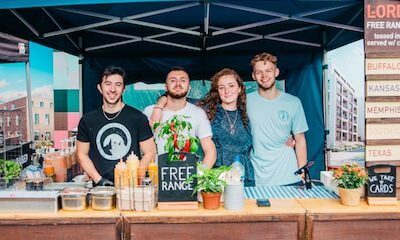 Now KERB are opening up their unique window into the ever changing face of the capital’s food industry with a much-requested series of talks.